As a writer and reader, I find it a fascinating experiment to retell a story from another character’s viewpoint in a way that is fresh and exciting. In her companion novella to the Telesa series, I am Daniel Tahi, Lani Wendt Young takes us back through the events in Telesa: The Covenant Keeper through the eyes of Daniel Tahi, the Samoan hunk and moral heart of the Telesa series. 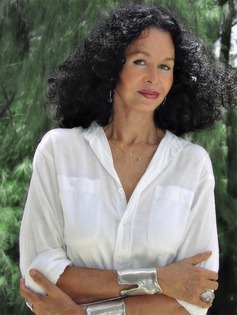 Telesa, book 1, is told from Leila Folger’s outsider point of view. 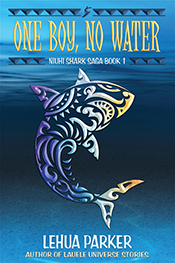 Raised in America by a Caucasian father, Leila doesn’t know her Samoan family or heritage and the reader is introduced to Samoan culture, values, and traditions through Leila’s eyes. In this novella, a basic understand of Samoan culture is assumed and the viewpoint and voice are convincingly masculine and testosterone driven. I gotta admit it was a lot of fun to revisit scenes already knowing Leila’s motivations and feelings and discovering Daniel’s. There’s also some new material in the novella that fills some narration gaps I felt were in Telesa. While you could skip this side story in the series and continue straight to book 2, When Water Burns, fans will enjoy getting to know Daniel better. 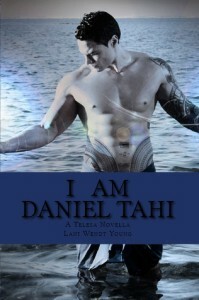 I am Daniel Tahi by Lani Wendt Young is self-published and available from Amazon as an eBook and trade paperback. Don’t miss the other works in the series: Telesa: The Covenant Keeper, When Water Burns, and The Bone Bearer. Click to read my review of Telesa: The Covenant Keeper, I am Daniel Tahi, When Water Burns, and The Bone Bearer. ‘Ewa Which Way by Tyler Miranda peels back the bandage of what adults think adolescence is like to expose the raw, oozing strawberry of reality. I loved this book for its ability to show all the complicated rules, expectations, and entanglements of being a 12-year-old boy trying to make sense out of adult behavior. 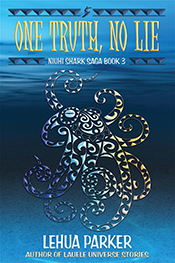 Set in ‘Ewa Beach, Hawaii in 1982, Landon DeSilva and his brother Luke know that lickins can fall from the sky like lightning, that a certain side-eye from a parent means a storm’s coming, and that sometimes no matter how long you hold your breath you can’t escape, but have to endure the wave to the end. For Landon, things are bad at home, but not bad enough. Not enough for child protective services to swoop in and spirit Landon and Luke to a new home, not enough for the cops to do more than show up when his parents’ fights wake the neighbors, and not enough for his mother to realize her marriage is over. 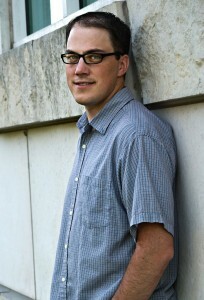 Throughout the novel Landon tries to figure out what he’s supposed to do when there’s really nothing he can. His parents’ troubles are deep—there’s guilt, prejudices of class and race, loss, alcohol abuse and valium popping coping mechanisms, unfulfilled expectations, and sheer dysfunction. Landon sees it all with the clarity of a twelve-year-old and his reactions and understandings are heartbreaking and true. Adult readers will read not only the story, but all the words and character motivations between the lines. It’s powerful, immediate, and like a bloody scrapped knee, painfully evocative of the transition between childhood and adulthood. Tyler’s lyrical writing hit so many of the details of growing up in Hawaii pitch perfect—the politics of school bullies and teachers, the endless hours of chores (I so remember scrubbing toilets with Comet and Scott towels and weeding Saturday mornings in heat that felt like standing in a clothes dryer), frustration with siblings who seem to glory in amplifying the problems instead of flying under the radar, conflicting messages between Catholic church teachings and family actions, and the blessed escape an hour in the ocean can be. I particularly enjoyed Tyler’s description of surfing and futzing around in the shore break as a kid. It’s some of the most evocative passages about being in the ocean I’ve ever read. There’s an argument in literary circles about the difference between books about kids and books for kids, with the educational conceit that kids will read stories about characters their age and a little older, but not younger. While Landon begins the novel as a sixth grader, (well, technically looking back to sixth grade), this book is not for the fourth–seventh grade crowd. My recommendation is for readers grade eight to adult for several reasons. Another challenge is the language—there’s a lot of Pidgin English construction in the dialogue, mainly dis, dat, an’ da oddah ting kind of phrasing. This version of Pidgin is common on ‘Oahu public school playgrounds, and I think ultimately easier for the non-Pidgin speaker to understand than a more a hard-core version of Pidgin liberally sprinkled with words like hammajang, lolo, and pau. 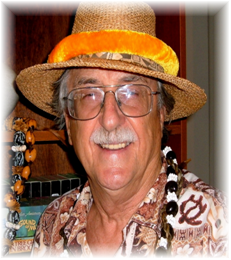 In telling his story Tyler used an authentic interpretation of Hawaiian Pidgin English’s sounds and rhythms that native Pidgin speakers will have no trouble reading, but it requires a little more decoding for English-only speakers. I think this extra work puts it out of the range of most mainland elementary and intermediate readers. A final red flag that it’s for older kids is the occasional swearing, which might make parents and teachers of younger readers uncomfortable. Don’t worry, the language isn’t a gratuitous Sopranos-bar-of-soap-on-the-tongue fest and it’s used to good effect. Yes, I understand kids know, hear, and use these words, but parents and teachers are the ones who buy the books, and in their eyes, there’s a big difference between what’s appropriate for sixth and eighth grade. It’s the only reason I mentioned it. I loved this book and can’t recommend it too highly. It’s the kind of novel that makes you think about all the Landons in the world and the DeSilvas next door. Readers looking to remember growing up in Hawaii or wanting to experience life as an island kid are in for a real treat. 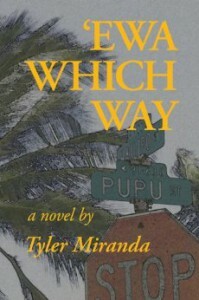 ‘Ewa Which Way by Tyler Miranda is published by Bamboo Ridge Press and is available in trade paperback at most Hawaii bookstores and Costco or online at Bamboo Ridge Press, SPD, Barnes & Noble, or Amazon. Telesa: The Covenant Keeper, book 1 in the Telesa Series by Lani Wendt Young is nothing but trouble. It starts out innocently enough with orphaned Leila Folger as a recent private all girls’ high school graduate leaving Washington D.C. against her grandmother’s wishes to meet her mother’s Samoan family for the first time. Born with a privileged silver spoon and raised by her recently deceased Caucasian father, it’s easy to predict the conflicts of wealth vs. modest means, American permissiveness vs. traditional Samoan conservative values, and the culture shock of everything from the food to church to going to school with boys. Lani nails all the angst of being on the cusp of womanhood perfectly and these themes are well-developed and a pleasure to read. But Sistah Lani didn’t stop there and that’s why this book is Trouble with a capital T. After I started reading, dishes piled in the sink. Kids were late to piano and soccer and shhhhh, Mom’s working was yelled all too frequently. Dinner? Order pizza, I’m busy. Fo’real. The Covenant Keeper takes Samoan legends of Teine Sa and Pele, who I know best as the Hawaiian goddess of volcanos, and creates a new mythology that sizzles. Hoping to discover her Samoan roots, Leila uncovers family secrets beyond anything you can imagine. I love that Leila is a modern woman who questions her gifts with a scientific mind. She respects tradition, but isn’t afraid to blaze her own trail or shake up the status quo. Did I mention the love triangle? Break out the fans, people! I doubt there is anything more beautiful than a young Samoan man who is kind, moral, graceful, and athletic. Sparkly vampires? Give me a break! One love song from Daniel and you won’t remember why you liked vampires or werewolves in the first place. And that’s the key–like the Twilight series this book is written for young adults from their perspective. Leila’s powers, love, relationships, and emotions are raw, new, and overwhelming. If you can remember being 18 and in love for the first time, you’ll be highly entertained as you escape to a fantastical vision of life in Samoa for an afternoon. Telesa: The Covenant Keeper by Lani Wendt Young is self-published and available from Amazon as an eBook and trade paperback. Don’t miss the other works in the series, I am Daniel Tahi, When Water Burns, and The Bone Bearer. There are moments in The Kona Shuffle where your eyes scan the words as fast as they can as your jaw hangs open catching flies. Esther and Tommy with the gun. The naked guy strapped to a chair and tortured with cheesy steel guitar music and a sunburn from hell. Gerald who wears plaid shorts in the Kona heat and speaks in a brogue because the father he never met is Scottish. I can’t even mention the whole fertility idol thing without cracking up because I remember those from Woolworth’s tourist souvenir selection as a kid. Tom Bradley’s The Kona Shuffle is a screwball detective comedy about four identical backpacks that get mixed up during a hard landing at the Kona Airport. Of course none of the bags are carrying the typical tourist maps and sunscreen and all of the owners are highly motivated to get their bags back. As the bags are stolen, swapped, and misdirected, deals are stuck and double-crossed in hilarious situations. It’s up to private investigator Noelani B. Lee to figure it all out and ultimately decide who gets the goods. There’s just the right balance between locals only inside jokes and a fast-paced action-packed narrative. Like a good plate lunch, there’s a little bit of everything here that satisfies. If you’re heading to Hawaii, it’s a great beach or plane read that guarantees you’ll be checking menus for loco mocos and paying a little more attention to your fanny pack in Waikiki. Can’t wait for the next Noelani adventure, The Hilo Hustle. 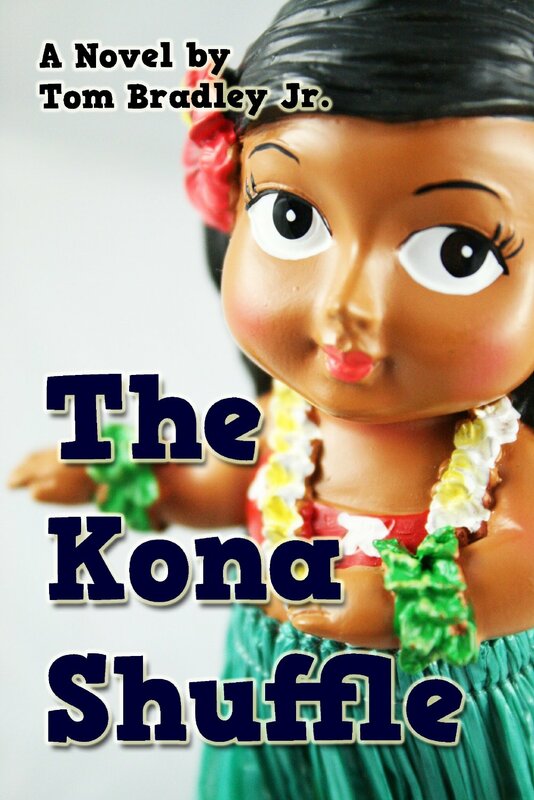 The Kona Shuffle by Tom Bradley, Jr., is self-published and available as an ebook or trade paperback from Amazon and Barnes & Noble. Connect with Tom Bradley, Jr.
My good friend Teri Harman’s book Blood Moon, book 1 in her Moonlight Trilogy is publishing June 22, 2013 by Jolly Fish Press. Teri stopped by to answer a few of my niele questions. Blood Moon is about witches, covens, good versus evil, and strength in numbers. It’s also a love story. Which ideas came first? The witches came first. I was inspired by an epic Halloween party I threw in 2010 at a creepy 100 year old school house. I’d read all this literature on witches to draw inspiration for games and decor so I had a great knowledge base to start from. Willa and Simon came next because who doesn’t love some romance. But I also wanted it to be about finding your true self and defeating the odds. For witches that usually means an opposing force, hence the good vs. evil plot. Plus, I really love a seriously bad bad-guy and wanted to take a shot at creating one. I think Archard, the Dark witch, fits the description rather well. The magic in your Moonlight Trilogy is based on six gifts of magic with each witch being adept or gifted in only one: Earth, Air, Fire, Water, Mind, or Dreams. Are some rarer or more valuable than others? Which gift would you choose and why? The elemental gifts, Earth, Air, Fire and Water are more common. The two psychic gifts, the ones connected to the Otherworld (the realm beyond our own), Mind and Dreams, are much rarer. Because they are rare and tap into the unknown they are also more powerful or have the potential for more serious magic. I think I’d want to be a Dreamer, or a witch with the Gift of Dreams, like Willa. I actually based her gift on my own wacky dreaming experiences. Some of her dreams in the book are inspired by my own. Plus how cool would it be to dream of the future and past and, like Willa, see and talk to ghosts? I know you love reading as much as I do. When you’re looking for sheer escape and entertainment, which authors or titles do you look to? As an official story addict, I’ll take anything that has a fabulous tale and interesting characters. But when I sit down to read for pure pleasure, I usually chose something with a magical twist, whether it’s obvious magic or magic realism. 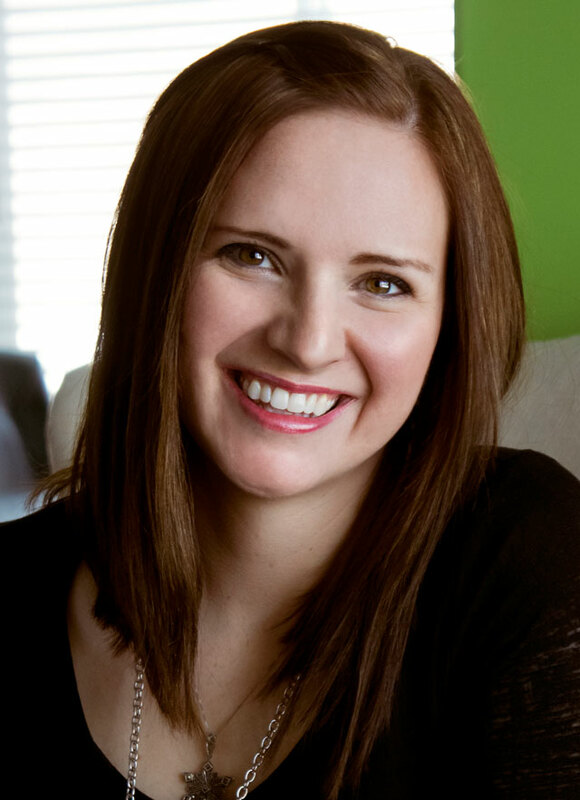 Some of my favorite authors are Sarah Addison Allen, Paula Brackston, Eowyn Ivey, Roald Dahl, Erin Morgenstern, and Kate Morton. What can we expect in book 2? Book #2, Black Moon, is all about Simon’s struggle to control and understand his wicked-powerful magic and Willa’s fight to find a way to help him. Everything that happened in book #1 is thrown into question and evil abounds in expected and unexpected forms. The story has taken some pretty incredible turns and I hope readers love it as much as I do. Thanks so much, Lehua! I always love ‘talkin’ story’ with you. To read my review of Blood Moon, click here. Two weeks after high school graduation, he walks into Willa’s life, the boy who gets into her blood like a fever. But Willa barely has a chance to mention Simon to Solace, her best ghost friend, before they’re swept up into kidnapping, murder, and the dangerous hidden world of witchcraft. As Willa and Simon discover their quirks are actually powerful gifts, they have to decide whether to join a True Coven and fight the darkness or simply walk (run!) away, turning their backs on who—and what—they really are. 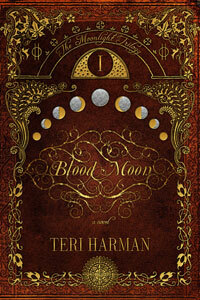 Blood Moon by Teri Harman is book one in her Moonlight Trilogy. It’s a page turning read with a fast paced plot and characters that draw you into their world of intrigue, deception, and witchcraft like you’ve never read before. Deeply rooted in earth magic, the tendrils of witch generations reach out through time, the past affecting the future in ways unexpected and imaginative. It’s a master’s chess game of light versus dark magic that affects us all—even if the rest of world doesn’t realize it. Simon and Willa seem fated for true love, but I have to question whether it’s real or simply witchy thinking. By the Moon, I guess I’ll have to wait until book two to find out! Blood Moon, book one of The Moon Trilogy by Teri Harman is published by Jolly Fish Press and is available in hardback, trade paperback, and eBook from Amazon, Barnes & Noble, and other purveyors of fine books beginning June 22, 2013. What if you had a powerful gift that was slowly killing you? What if at the moment you needed it most, it knocked you out cold? What if soldiers were hunting people with this gift and the only way to protect your family and everything you loved was to leave it behind? Insight, book 1 of the Beholders, by Terron James is a sword and shield fantasy set in Appernysia. Seventeen year old Lon has the gift of True Sight, which in a trained Beholder’s hands allows a person to see the world’s energy and manipulate it. But Lon has never met another Beholder and doesn’t have a clue about how to use his gift. Just having it paints a target on his back for the Rayders, an invading army scouring the countryside for a True Sight Beholder. 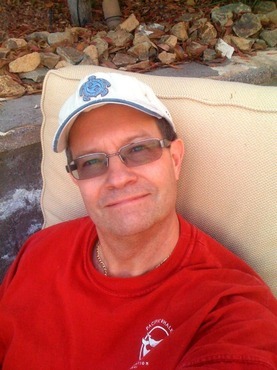 Lon soon realizes that for everyone’s sake, he has to leave his family to search for answers. It’s a journey that leads him to some remarkable revelations as he learns how harness and control his True Sight. If it doesn’t kill him first. 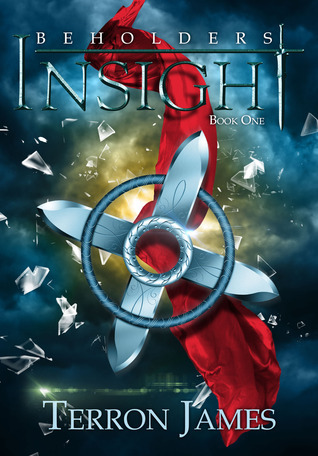 Insight is an adventure quest full of battles, inner conflict, and humor. While this is mainly Lon’s story, I suspect Lon isn’t the only Beholder in the family. Guess I’ll have to wait until book two to find out. Insight, book one of Beholders by Terron James is published by Jolly Fish Press and is available in hardback, trade paperback, and eBook from Amazon, Barnes & Noble, and other purveyors of fine books beginning June 1, 2013. Lehua, Ka‘ao a ka Wahine, by Gene J. Parola combines historical narrative with forbidden romance to paint a portrait of life in Hawai‘i circa 1819, just as Queen Ka‘ahumanu lifts the kapu, essentially abolishing the ancient Hawaiian religion and turning the caste system on its head. It’s a period of Hawaiian history that is often glossed over as teachers tend to quickly move to the coming of the Christian missionaries soon after, and I appreciated a more thoughtful approach to the effect these changes had on both the ali‘i and maka‘ainana—chiefs and commoners alike. When I studied Hawaiian history in school, Queen Ka‘ahumanu’s actions were portrayed as noble, wise, modern. It’s only lately that the hardships of the kapu system and other less noble motives such as a desire for worldly material possessions at too high a cost are being openly discussed as part of a more balanced conversation about that time. As a descendant of both the white merchants and the ali‘i, I remember many family conversations, arguments really, about the reasons the Hawaiian nation was eventually conquered by business interests supported by the US government and whether or not this was a pono. 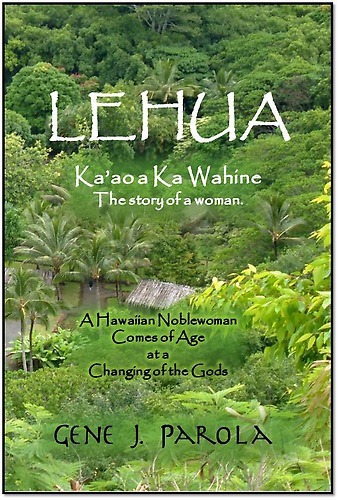 Through Lehua’s journey, I was better able to understand the different points of view. I just wish I could go back in time to some of those family discussions and ask more questions! 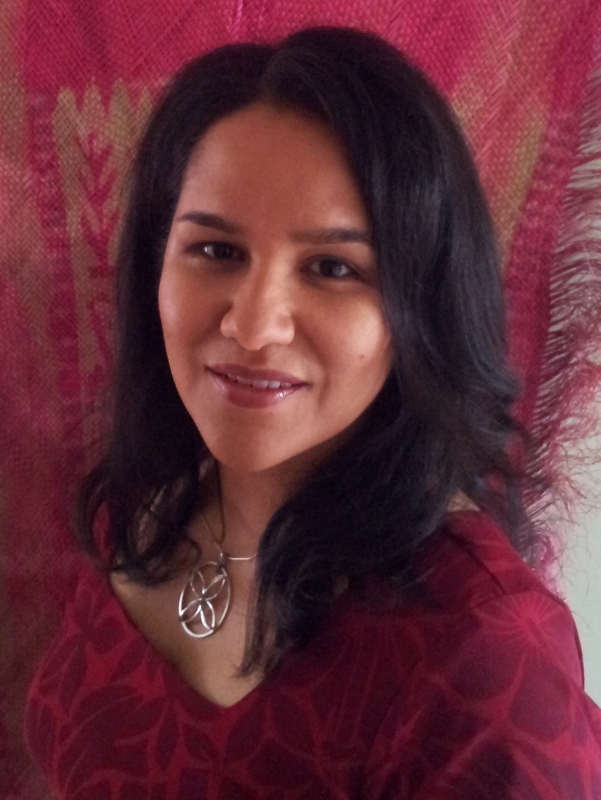 Lehua is the first in a trilogy that follows a young ali‘i woman through this turbulent time. I look forward to continuing the conversation. 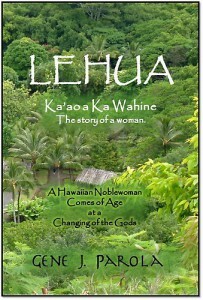 Lehua, Ka‘ao a ka Wahine, by Gene J. Parola is self-published and available on Amazon and Barnes & Noble as a trade paperback and eBook. If you scratched Kiana Davenport, beneath her sophisticated, erudite veneer I think you’d find the heartbeat of a no-nonsense Waimanalo titah, a contradiction that makes her work a delight to read. 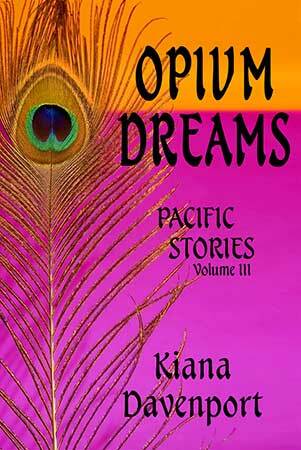 I just finished Opium Dreams, volume three in her Pacific Stories collection, and like in her previous volumes Cannibal Nights and House of Skin, I found myself slipping into the skins of the narrators. You don’t read her stories so much as breathe them along with her characters. Her eye for the small telling detail that reveals epic amounts of information is exquisite and her deft handling of imagery often makes the prose sing like poetry. Da titah can write. Period. I’ve admired Kiana’s work for a long time. Her main characters are often mixed-raced Polynesian women trying to make a life for themselves on the margins of western culture. The women in her stories survive abuse, make poor choices, bow under the burdens of history and culture, and fall to the whims of turn-on-a-dime fate. They also seize life and triumph in ways large and small. They are spectacularly flawed, raw, and real. Kiana has the knack of taking something alien to most western experiences and making it universal. In Opium Dreams, her stories are about anger and revenge, self-destruction, the inevitable consequences of action vs. inaction, and the grace of forgiveness. In Kiana’s worlds, family is who you chose, and that choice is everything. 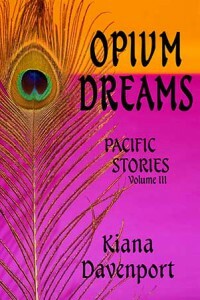 Opium Dreams by Kiana Davenport is available as an eBook through Amazon and is her first foray into self-publishing. It’s a steal at 99 cents. Be sure to check out her other titles: House of Skin, Cannibal Nights, Shark Dialogues, House of Many Gods, Song of the Exile, and The Spy Lover. I guarantee you’ll be haunted by these characters’ lives for years. Pono is a complex Hawaiian word with connotations of righteousness, balance, and propriety. 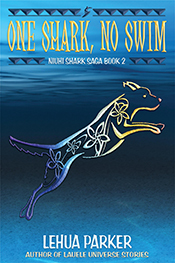 It’s one of the themes I try to develop in the Niuhi Shark Saga as characters make choices that place them in or out of being pono. 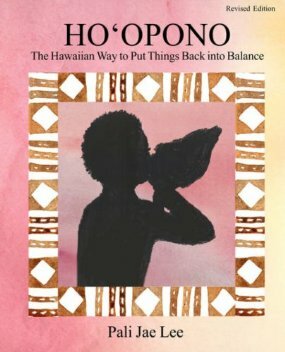 Ho‘o means to do or make; so ho‘o pono describes a way of being, of living one’s life in harmony with correct principles. As a student at The Kamehameha Schools, our Hawaiian culture teacher once told us that if there was only one thing we could remember from our time with her, she wanted it to be the concept of ho‘o pono. While I can’t remember all the place names we memorized, which fish were kapu during which seasons, or the number of voyages to Tahiti and back, I do remember her words about ho‘o pono. So it was with great interest that I picked up Pali Jae Lee’s book Ho‘o pono: The Hawaiian Way to Put Things Back into Balance. Part oral history, part memoir, the book shares some of the family traditions and stories handed down from Ka‘ili‘ohe and Makaweliweli descendants from Molokai. 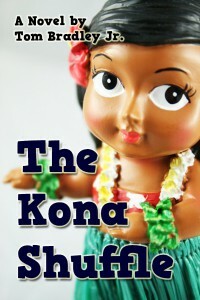 One of the central stories is really a parable about ho‘o pono. All children are born with an upright bowl of Light that grows with them and allows them to know and understand all things. But when a child is resentful or envious, he drops a stone into his bowl and a little of the Light goes out. If enough stones fill his bowl, the child becomes like stone, unable to move or grow. By turning his bowl over, the stones fall away and Light comes back. It’s a simple, beautiful, and elegant metaphor for all the baggage we carry—no matter the era. These and other parables help give a voice to the past in ways that resonate with the future. There was a time in Hawaiian families when nothing sacred or significant was shared with outsiders because only family would understand and respect the deeper truths. Looking at Hollywood’s version of Hawaiian culture, it’s not a big stretch to say what is often portrayed as Hawaiian has been misinterpreted, twisted, or fabricated out of whole cloth. But times are changing, and as more families are coming forward with their histories that challenge common perceptions, a clearer, truer picture of Hawaiian culture is emerging. May all your bowls be filled with Light. Ho‘o pono: The Hawaiian Way to Put Things Back into Balance by Pali Jae Lee is published by I.M. Publishing, Ltd. and is available as an eBook, hardcover, and trade paperback from Amazon.